Review: Planet Trekker children’s menu at InterContinental Melbourne The Rialto + win a night for you! The giveaway has now ended. Congratulations to Zoey! Check your inbox for an email from me. My key goal for 2014 has been to focus on family harmony. I have been working on the way I interact with the kids and also making sure there is more opportunities for us to do things together as a family. Part of my strategy to achieve this goal has been to eat out as a family on a quarterly basis. We were lucky enough to be invited along by the InterContinental Melbourne The Rialto to taste their new children’s menu Planet Trekker, at their Alluvial restaurant. The invitation also meant we were going to be able to do a an overnight stay in our own home city as a family, something we haven’t done before. 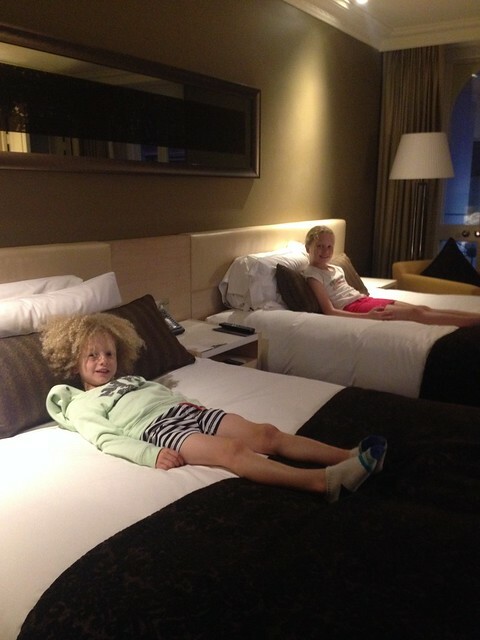 It was perfect timing, as this school holidays we had planned to stay in Melbourne and have a slower paced holiday. Slowing the pace has been instrumental in keeping family harmony. The kids were beyond excited about this. As there are a few of us, we spread ourselves over three rooms. The rooms were very spacious, with lovely furnishings and we had an adjoining room so it made it easier for the youngest to move easily between rooms. We had the most relaxing and enjoyable time. If you have the chance to have an overnight stay in your home town I can highly recommend it. Not having traveled for a long time, I didn’t feel the pressure to squish loads of activities in. We kept it simple and slow and I followed the lead of the kids. 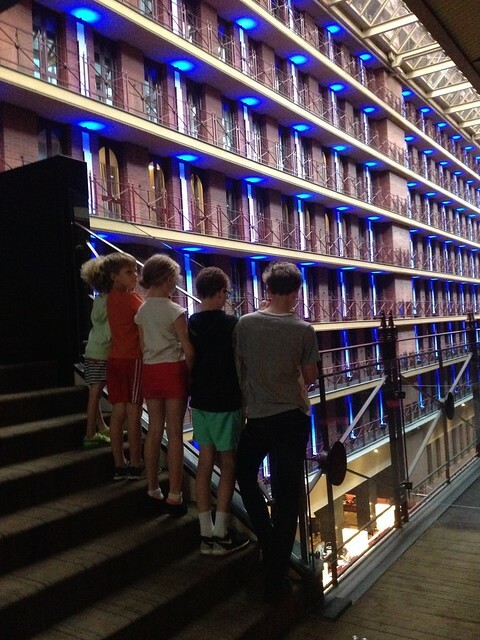 First off, we explored the hotel. Then before dinner all they wanted to do was go for a swim in the rooftop pool and spa. The kids adored having their own rooms and independently showered and got themselves ready for dinner. A win for me and Mr I who had a lovely chat in peace once he arrived in from work. 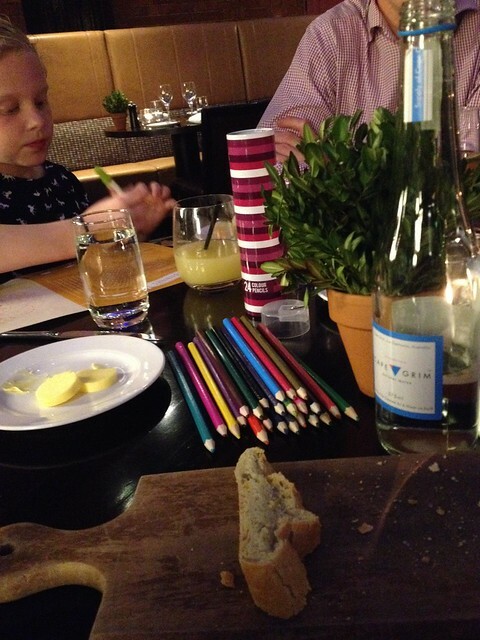 It can sometimes be a bit daunting taking younger children out to dinner. Will the menu cater for them? Will they be too noisy? Will they get bored? The Planet Trekker scheme created by the InterContinental Hotel Group addresses all these concerns though. The children’s menu has been developed by award-winning chef Theo Randall with the assistance of children’s nutrition specialist Annabel Karmel. 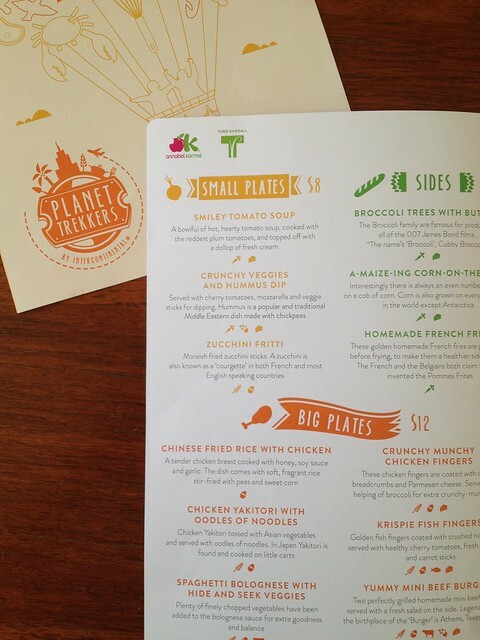 I loved seeing that the Planet Trekker menu had small plates (entrees), sides, big plates (mains), desserts and drinks. It replicated an adult menu, so children can have the same dining experience as the adults, but the food is tailored to their younger taste buds. The menu was also well priced with small plates (entrees) for $8, big plates (mains) for $12 and desserts $8. (If you are staying as part of the family package, kids eat free!) 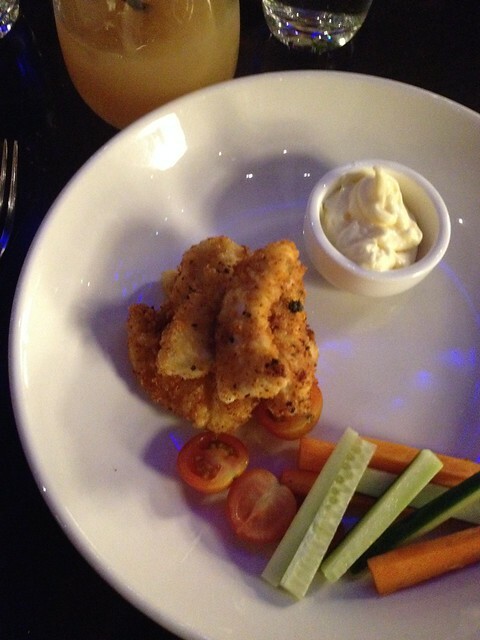 The menu offers familiar favourites along with an emphasis on foreign cuisine. 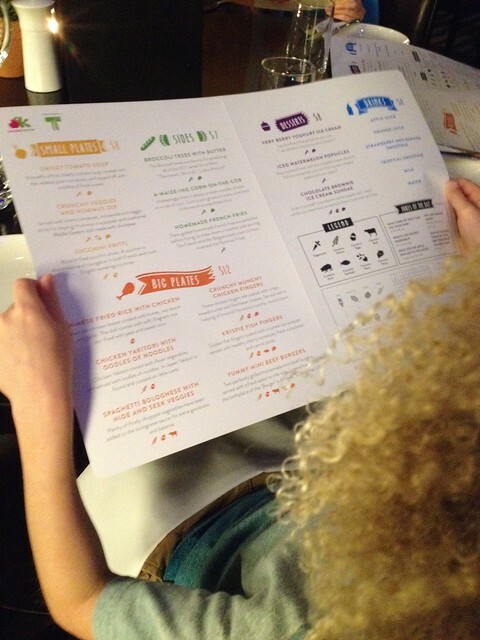 The menu explains each dish in terminology that kids will understand. Even for children who are not yet able to read, you can help them decipher the legend. 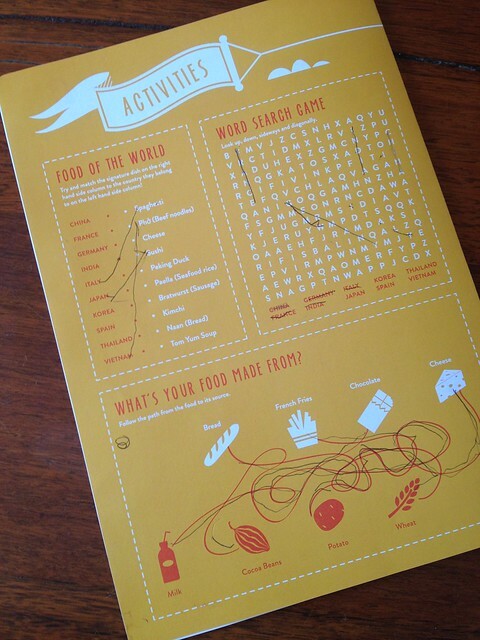 Each dish has some icons with it, so you can tell if it contains beef, pork, eggs etc. The lovely (and patient) staff went around the table and took the orders from each child. The menu also doubled as entertainment for the kids while their food was being prepared. The staff brought over pencils and the kids started on the activities. The activities were great conversation points too. When trying to match up the signature dishes of the countries listed there were quite a few the kids didn’t know, so Mr and I would fill in the gaps and talk about our experiences with the food. 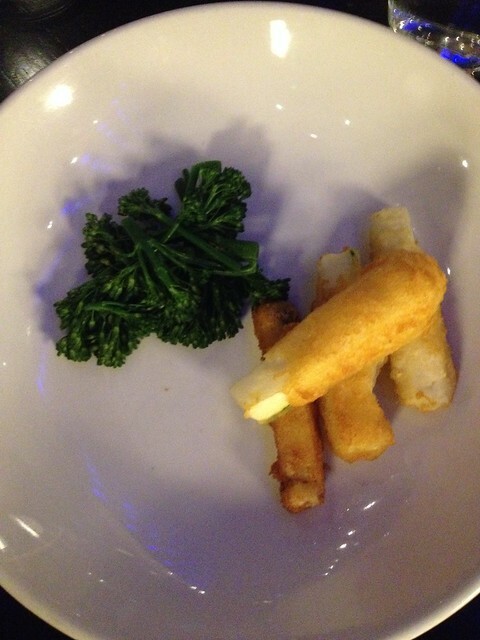 The children’s meals were presented as beautifully as the adults. Master 13 chose zucchini fritti and was completely impressed with them. He didn’t think zucchini could be so tasty! 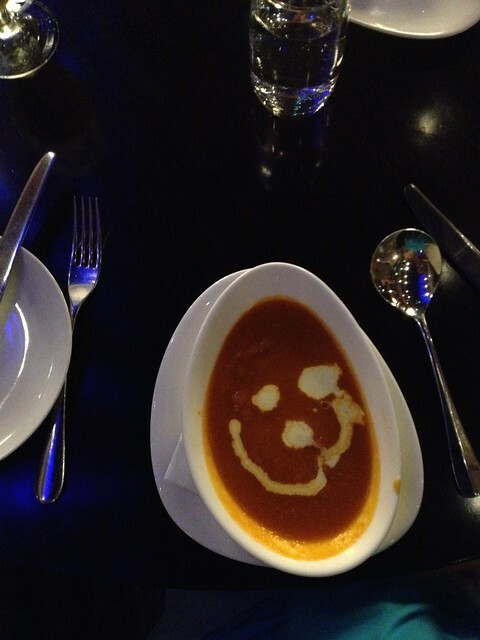 The 8 year old loves soup and he thought this smiley tomato soup was the best he ever tasted. I do love how kids love to rate everything! 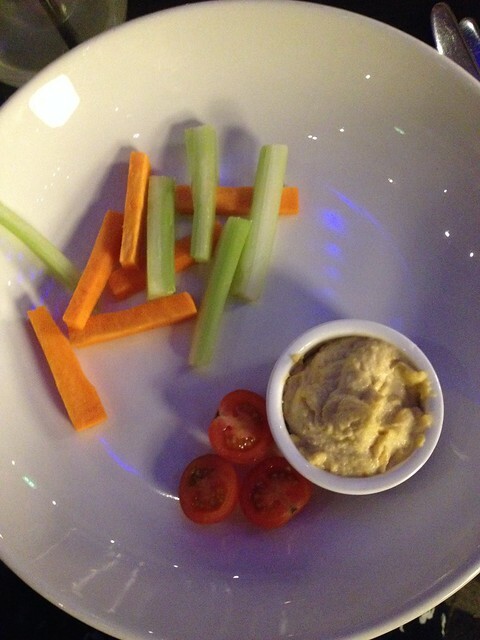 The 10 year old and 5 year old are smaller eaters, so they opted for veggies and hummus. This allowed them to have the experience of eating an entree with everyone else, but still have room for their main. And by pure chance, all four kids chose something different for their main meal. 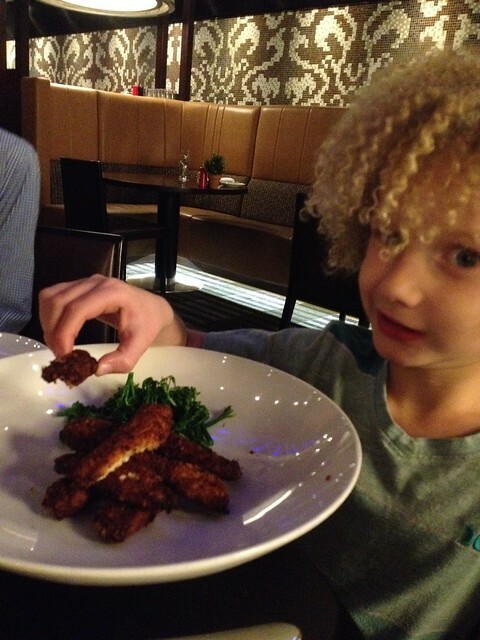 The youngest went for the crunchy chicken fingers and broccoli. 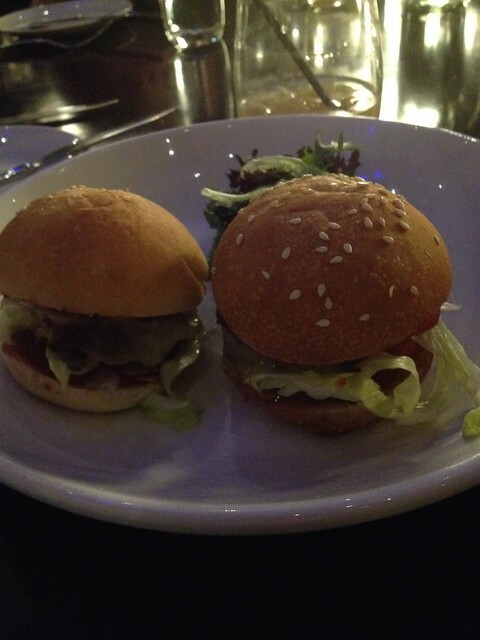 It was two gorgeous mini beef burgers for the 8 year old. Fish for the 10 year old. 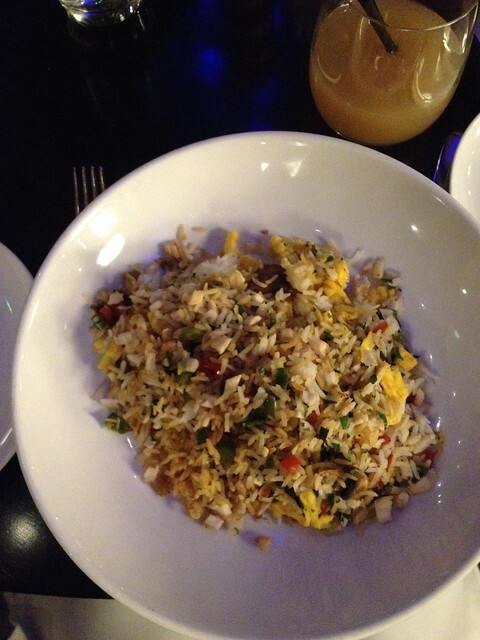 And the Chinese fried rice with chicken for the 13 year old who adores my fried rice and said it was equal to mine in taste, but it definitely won on presentation. My kids do love good French fries, so we ordered two side dishes of the homemade French fries. They are parboiled before frying so super tasty. However the kids focused on their mains first and only had a few each. We could have easily not ordered them. The kids were all so satisfied with their meals that only the youngest ordered dessert and I think he did just because he could! 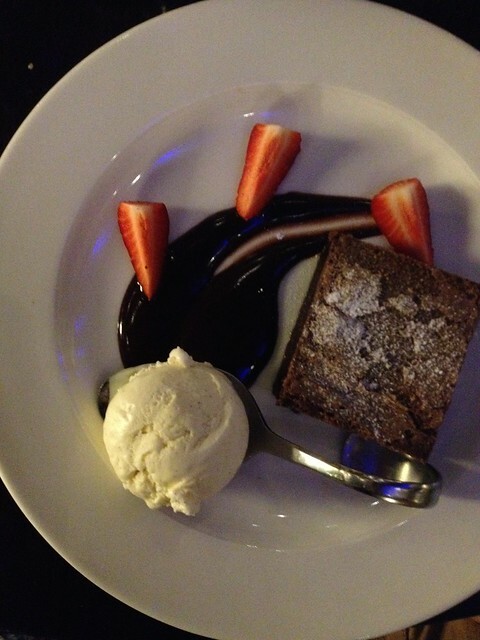 He ate the ice cream and strawberries and left the delicious brownie to be eaten by his dad. While I had my lovely cup of tea after dinner, our conversation was globally inspired, discussing issues like why Australia is a continent and not Greenland? How many continents we have travelled too? Which country would we love to see most? 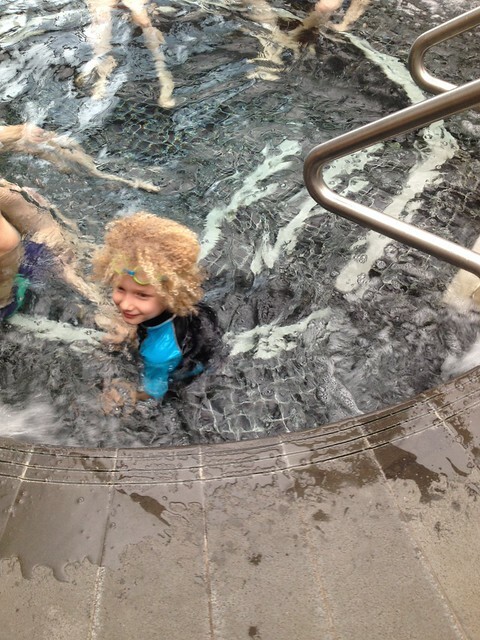 The pool was open until 10.30pm, so three of the kids were keen to go and have a swim after dinner. Mr I joined them this time. 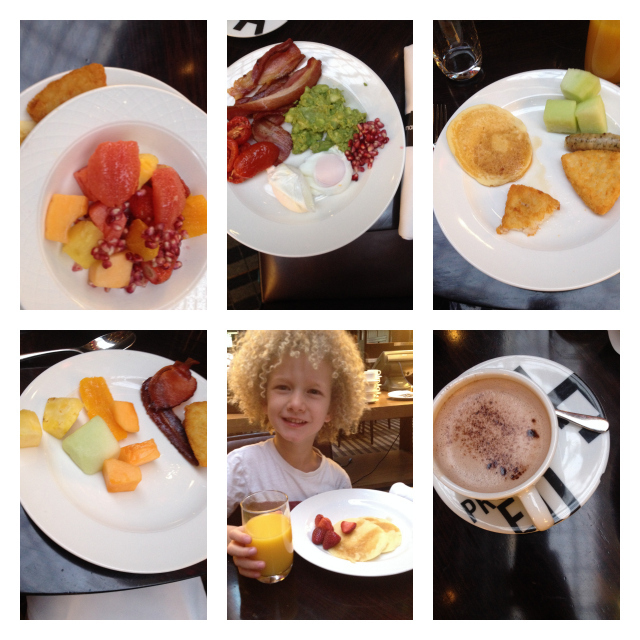 A buffet breakfast is our children’s dream come true. Mr 8 was first in line for the egg man, ordering poached eggs. The 5 year old made a bee line for pancakes and the others opted for an interesting mix of hot food and fresh fruit. As a lover of a hot breakfast, I thought this buffet was fantastic. Mr I then headed off to work and naturally we headed back to the pool, where I played a ridiculously large amount of Marco Polo in the pool with the kids. We had a late check out so ordered some room service for lunch. We played hangman while we waited for it to arrive. 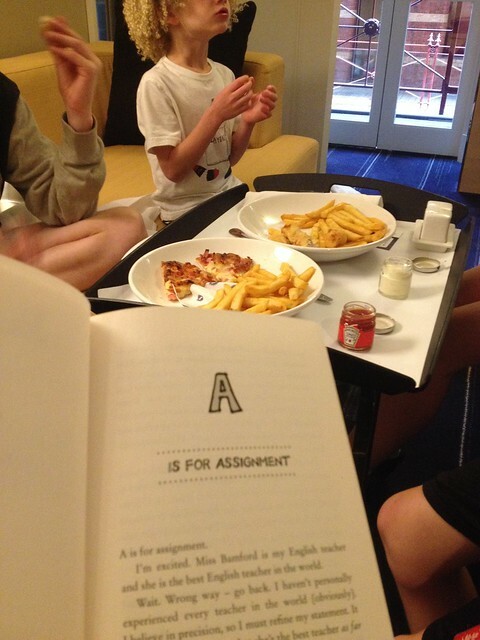 The options on room service are great for the kids too and they had pizza and chicken strips and I read our latest chapter book to them as they ate. 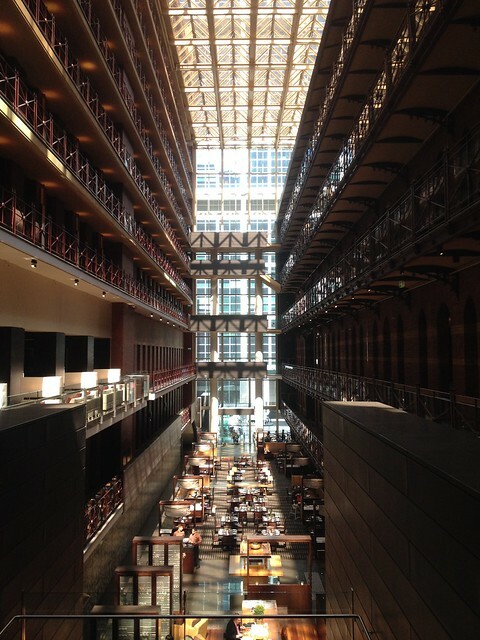 We had a wonderful time at the InterContinental Melbourne The Rialto and while it was only for a night we came home feeling happy and well rested. 1 night’s accommodation at InterContinental Melbourne The Rialto in a Deluxe Room. 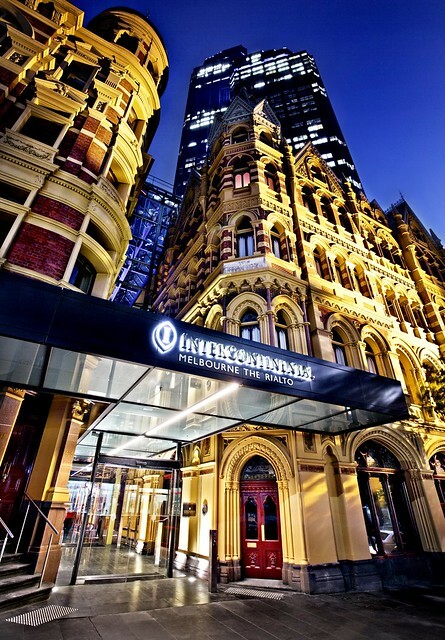 This package is very similar to the excellent family packages the InterContinental offer around Australia and the world. You can see the details here.